Panellists in the Solutions Forum “Boosting South-South Trade and Investment Cooperation for Development Impact.” The forum was organized by ITC through its SITA project. 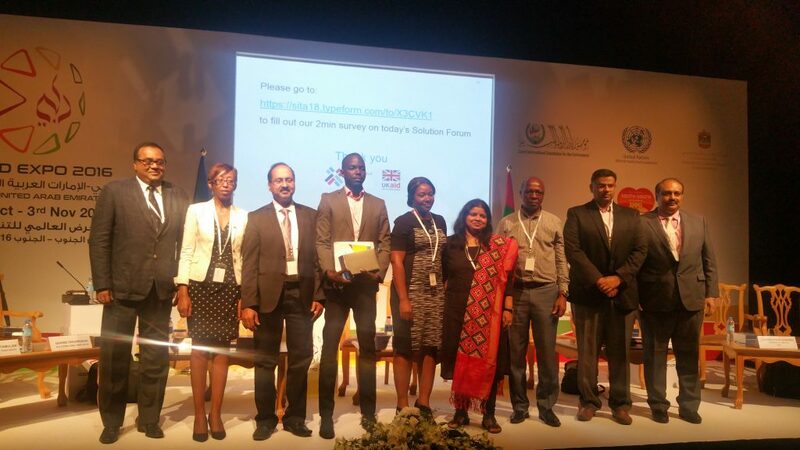 The International Trade Centre (ITC) successfully participated in the recent Global South-South Development Expo 2016 (GSSD Expo) in Dubai, showcasing some of the initiatives rolled out as part of its Supporting Indian Trade and Investment for Africa (SITA) project and Trade Promotion and Value Addition for African Cotton project. “Since its inception in 2008, the Global South-South Development Expo has established itself as a powerful platform to promote co-operation and partnerships across the Global South in support of developing countries’ sustainable development aspirations,” comments Tegegnework Gettu, Associate Administrator of the United Nations Development Programme. Through the years, ITC has served as a key partner in South-South cooperation and provided customized support in favour of capacity development, knowledge brokering and facilitation. 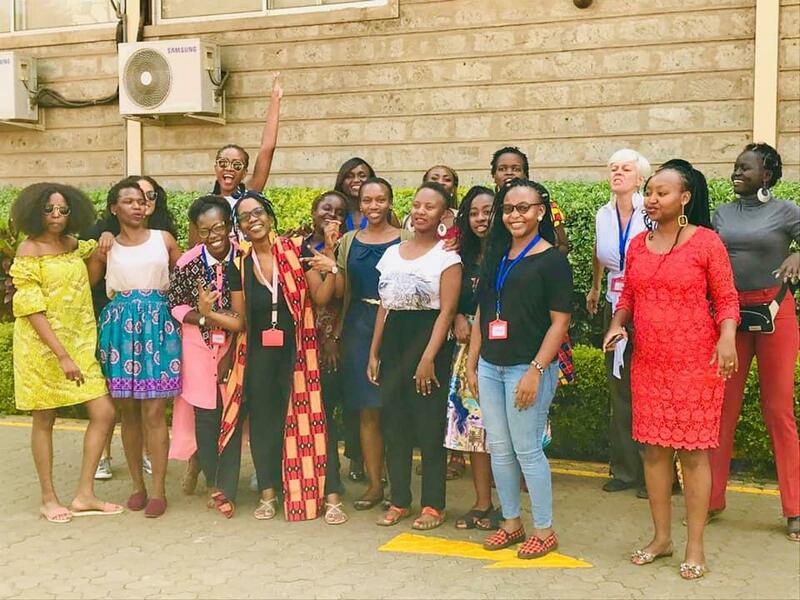 The ITC SITA project, funded by the United Kingdom Department for International Development (DFID), aims to build productive capacities in five East African countries – Ethiopia, Kenya, Uganda, the United Republic of Tanzania and Rwanda – in select value chains through institutional and business partnerships from India. Supported by the European Union, ITC’s Trade Promotion and Value Addition for African Cotton project specifically aims to build sustainable services to help cotton ginners and producers improve competitiveness and marketability of African cotton in international markets through market linkages. 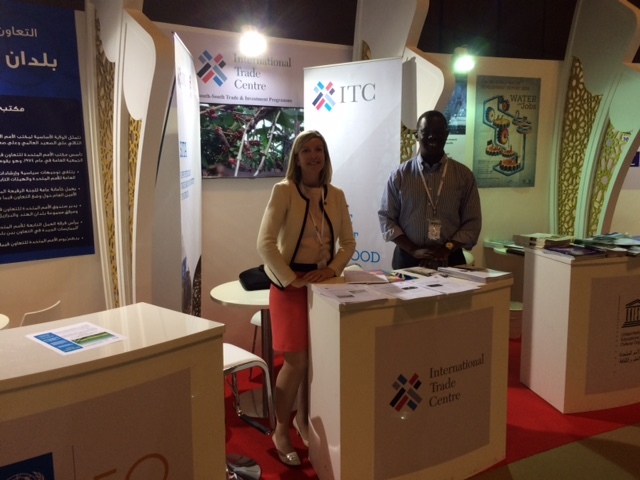 ITC had a booth at the GSSD Expo providing information on ITC’s South-South trade and investment activities, and their impact through inter-regional projects. ITC participated in the GSSD Expo to share its thematic knowledge and operational expertise in South-South trade and investment as well as to observe and learn from trends and successful initiatives in the domain. At the Expo, ITC organised a forum titled “Boosting South-South Trade and Investment Cooperation for Development Impact,” to highlight working solutions designed and deployed to address development challenges. The session sought to inform policymakers and development agencies on models that can be scaled up and replicated in addressing the UN Sustainable Development Goals. 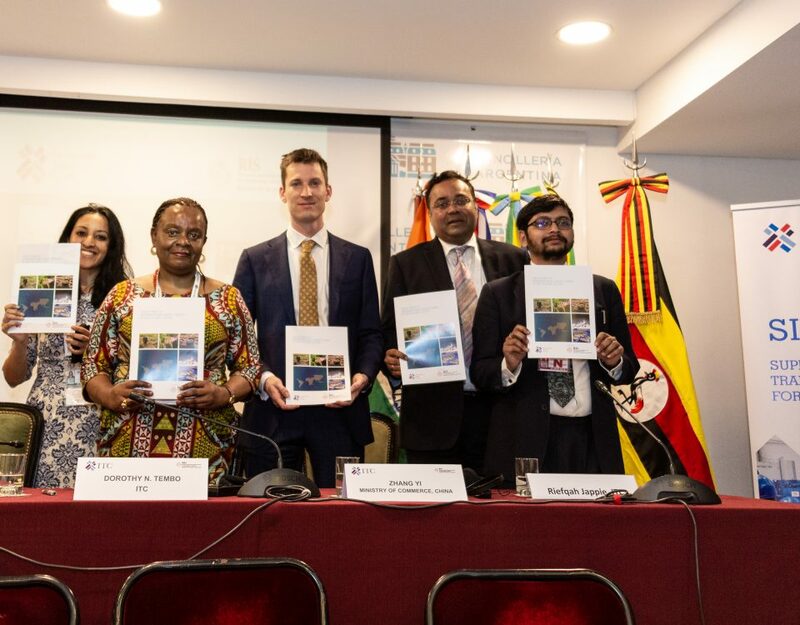 ITC’s stakeholders and beneficiaries from India and Africa participated in the session, providing examples of successful initiatives and interventions implemented by SITA and the Trade Promotion and Value Addition for African Cotton project. 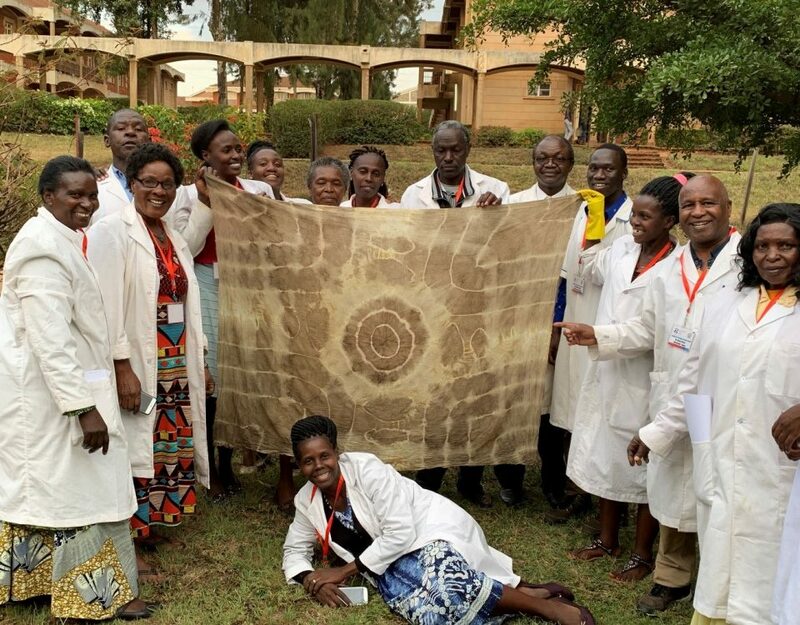 The session focused on solutions offered through these projects for trade development in East Africa covering hybrid chilli, the conversion of leather waste to natural fertiliser and cotton-to-handlooms. Commenting on SITA’s intervention in the Rwandan spices sector to support the cultivation of red chilli that meets Indian and global market requirements, Noel Hirwa, a farmer from Rwanda, said that his partnership with the Indian company Akay Flavours will help him expand his farm over the next two years. The community around him will also now shift to chilli cultivation, he added. Speaking of his company’s choice of Rwanda as a destination for investment in Africa, Dr. Balu Maliakel, Managing Director of Akay Flavours, said that despite its landlocked geography, several factors such as the presence of skilled and committed farmers like Mr. Hirwa, organised community-level farmer groups, responsive governmental support and proactive support from the National Agricultural Export Board swung the deal in the country’s favour. He further stated that Akay would set up a processing plant once scale in production was achieved by around 2018. 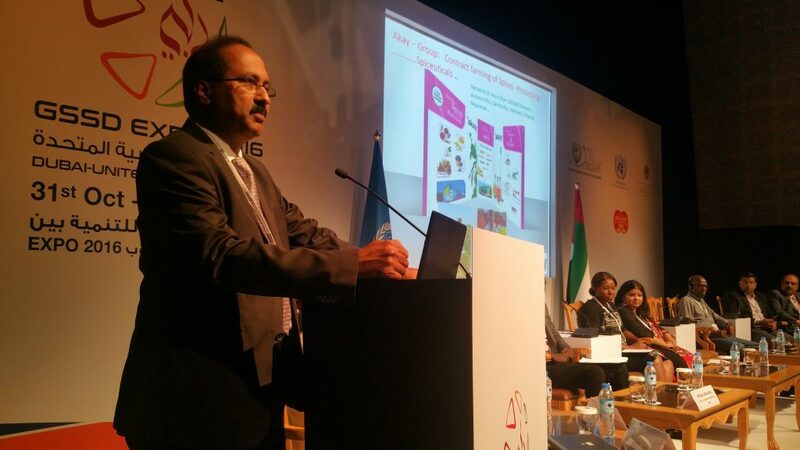 Dr. Balu speaking during the ITC session. His company, Akay Flavours, is helping Rwandan companies expand and diversify their red chilli production. S. Ventakesh Kumar, Chairman of P. Subbaraj & Co., an India-based animal by-products company, elaborated on their partnership with a Kenyan tannery, facilitated by SITA, to convert trimmings and shavings from animal hides into bio-fertiliser. His Kenyan counterpart, Robert Njoka of Zingo Investments stated that bio-fertiliser production in Kenya would reduce dependence on imports, provide his company a new product and revenue source, and most of all, convert waste that was hitherto destined for landfills into a useful “wealth” creating product. 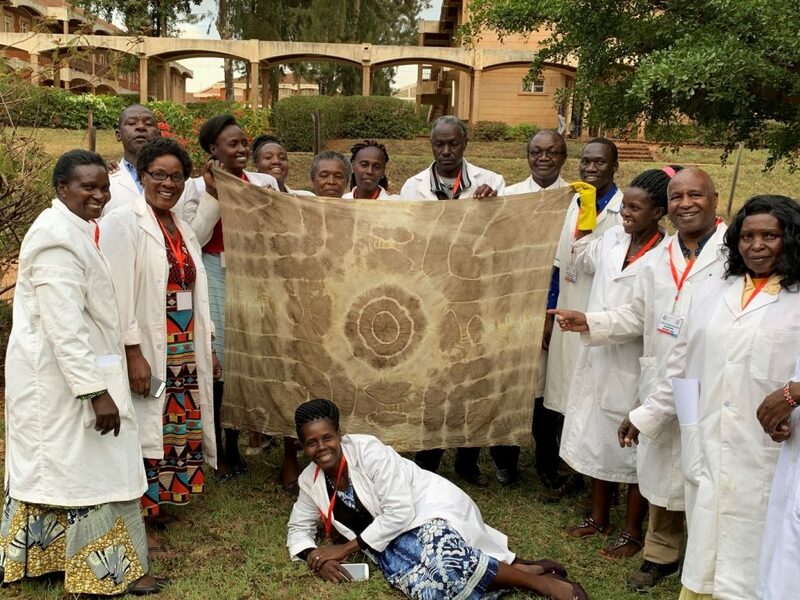 Handloom experts from India and Zambia highlighted ITC’s collaboration with Indian and national counterparts across East Africa in the context of both SITA and the African Cotton Promotion and Value Addition project. Sharmistha Mohapatra of IL&FS stressed the importance of knowledge and technology transfer from India to East Africa. Small upgrades in adopting appropriate technologies can make substantial gains in productivity, Ms. Mohapatra said, citing the example of deploying upgraded spinning wheels – costing $120 – to improve productivity by a factor of four. Aselly Mwanza of the Cotton Association of Zambia explained how skills training, exposure visits and access to finance had transformed women weavers in her country from mere producers to market operators, thereby boosting incomes and productive capacities. She further stated that training of trainers has ensured that the growth trajectory of women adopting weaving as an occupation would continue. Govind Venuprasad, the ITC Programme Manager for South-South Trade and Investment, presented an example where SITA fostered policy change and institutional development, in partnership with the Export-Import Bank of India. The initiative sought to assess the feasibility of setting up an export credit guarantee scheme for Rwanda. 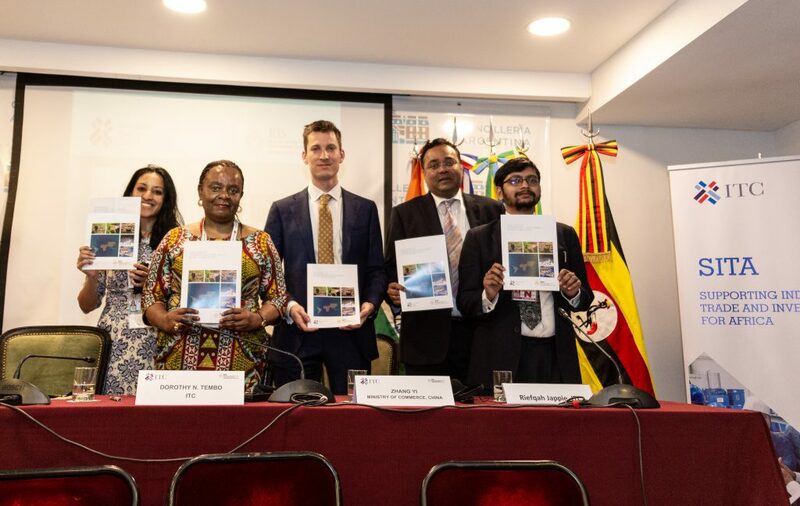 The report resulted in the Rwandan government notifying the creation of an export credit guarantee mechanism, and seeking donor support to capitalise the scheme. The export credit guarantee scheme will improve Rwanda’s financial inclusion and export performance significantly. South-South cooperation is growing as developing countries are increasingly helping each other to find new and innovative solutions to development issues. As countries of the Global South look for collaborative efforts to help each other by sharing technical knowledge and skills to facilitate development, ITC will continue to serve its mandate as a vital development partner designing solutions and offering its operational expertise in addressing the challenges.